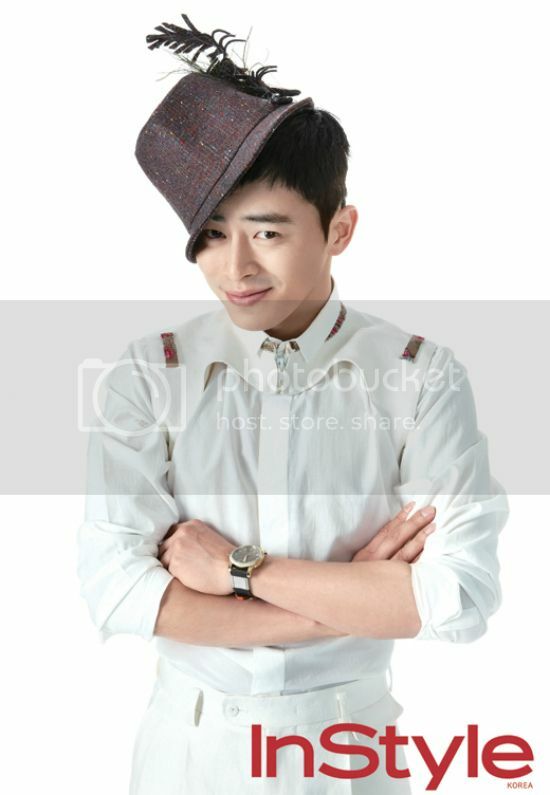 Before his TV/big screen debut, Jo Jung Suk was a prepared actor who continued to act on theater stage. His theater background has made him the actor he is today. 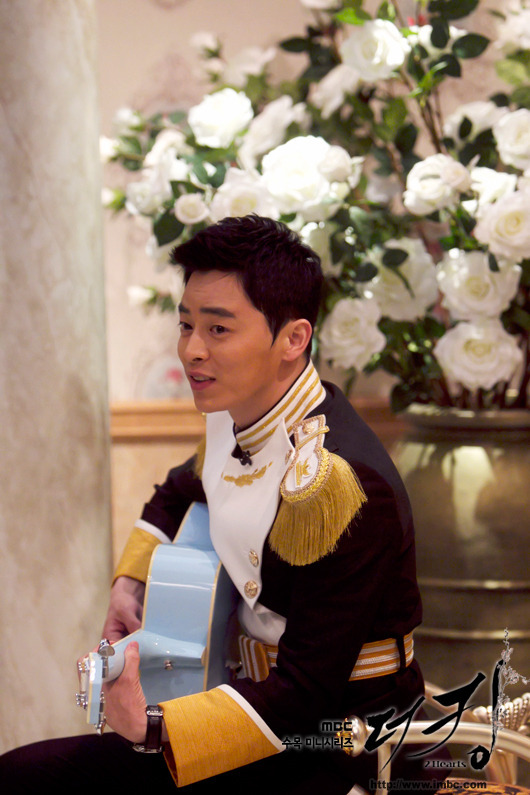 Jo Jung Suk has a passion for guitar. He loves to sing and dance. He has 5 best friends who has been with him since childhood. They paid him a surprise visit on Happy Together Ep. 419. 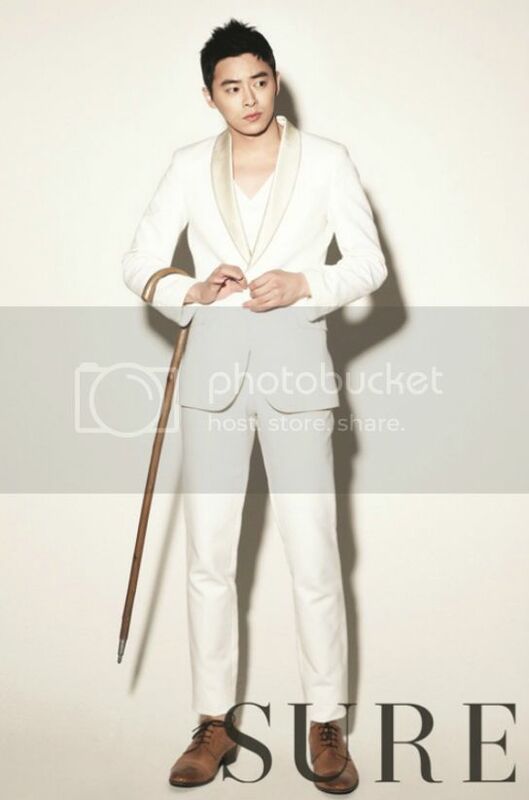 Jo Jung Suk has a black belt in Taekondo. He really loves dog, his dog Rakku is 5 years old. "I meet up with friends, have a drink, and chat about various things. That’s what I like best. People are very important to me. So that’s how I am best healed. On the one hand, people can be extremely scary, on the other hand they can be extremely precious, I think. Whenever I’m having a hard time or whenever I’m feeling happy, I’m forever grateful for the people who have stayed by my side. "I want people to find out slowly, over a long period of time, what kind of projects I do, the steps I take in the future, the type of actor Jo Jung-seok is. For a very very long time. I don’t mind if people forget me for a bit because I’d rather they discover me over a long period of time than suddenly expressing a mere passing interest ./. Eun Shi Kyung ... thanks for the big help!!!! Jo Jeong Seok, who is currently appearing in the film Architecture 101 and The King 2Hearts, is being bombarded with major offers. According to a rep close to Jo Jeong Seok, the actor will be concentrating on his drama shoot until it comes to a close on May 24. Soon after, he will join the shoot for director Yook Sang Hyo’s film The Steel Ranks to Save the Country (translated title). He will be joining the shoot later than the others due to his drama. Jo Jeong Seok is also active in other areas, appearing in shows such as MBC’s Section TV Entertainment Relay on April 29. Jo Jeong Seok was originally a musical actor, and appeared in such pieces as Hedwig, Grease, True West and All Shook Up. He’s gathering much popularity among his fans and the public for the acting skills he sharpened up all this time through musicals. Aw, Earnest Bot! Could you be any cuter with your dapper little suit and your whimsical umbrella? Jo Jung-seok‘s star is on the rise, and for good reason — he’s a musical stage actor who’s only barely on his third tv/film project, but he’s already being labeled a scene stealer. Here he is in two photo shoots for Sure and InStyle, looking as cute as can be. Jo Jung-seok debuted in musical theater, and then landed his first television role on What’s Up, leading to a supporting role in this spring’s big film Introduction to Architecture, starring Uhm Tae-woong and Han Ga-in. It was a box office hit, and apparently Jo was the one who brought in all the laughs. He plays the young hero (Lee Je-hoon)’s best friend — his life and love coach, bursting with personality. The interview below shows a few clips of him in the film, with his baggy 90s style (you know you wore pants that big once–don’t deny it), and hilarious mannerisms that he apparently ad-libbed himself. My favorite is his demonstration of french kissing, which involves this helpful description: “Your tongue… and… her tongue… they meet… mmm… rub!” followed by rubbing his hands together in the unsexiest way imaginable. Ha. And then his third role is in the current MBC drama The King 2 Hearts, where he plays the most earnest soldier ever built, and again, he’s stealing every scene he’s in. He has this perfect way of playing his character’s 100% sincerity with zero ham-handedness. It’s all truly awkward and So. Funny. I can’t wait to see more of him, in many more projects to come. finally found thsi treasure xD ... this interview was really really funny! 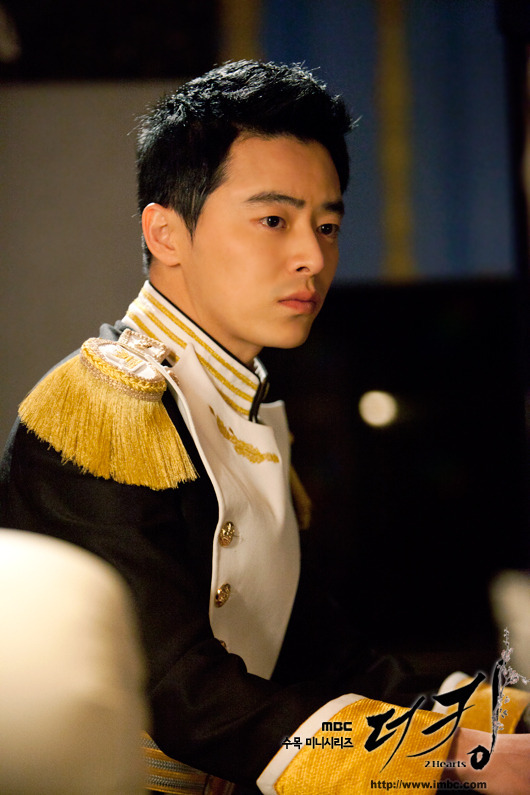 Actor Jo Jung Suk of ‘The King 2hearts’ shared the hardship as the captain of the royal guards. On the April 29th installment of MBC’s ‘Section TV Entertainment Relay’, the viewers were able to meet with Jo Jung Suk who is fast becoming a rising star. 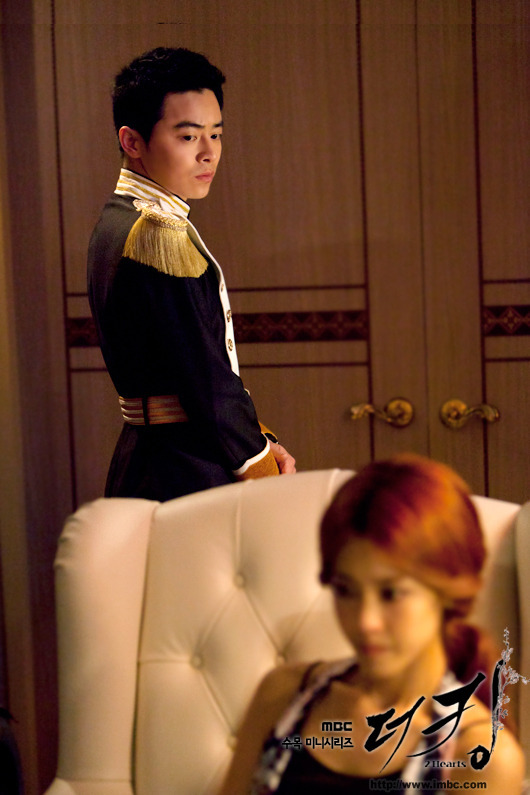 In the movie ‘Architecture Theories’, Jo Jung Suk impressed many as Nabtteuggi and now on the MBC drama ‘The King 2hearts’, he is showing off a completely different side as the captain of the royal guards Eun Si Kyung who is guarding King Lee Jae Ha, played by Lee Seung Gi. Jo Jung Suk was asked if it was difficult to play his role as he is always yelled at for being somewhat of a stuffy guy on the drama and he said, “It’s really difficult to serve the king. It’s tough to make a living, to make money… It’s difficult to serve King Jae Ha” then sighed. But right away looking truly like a soldier, Jo Jung Suk sent a video letter saying “King Seung Gi, I will serve and guard you well going forward also. Seung Gi hwaiting!” and brought laughter to the viewers. 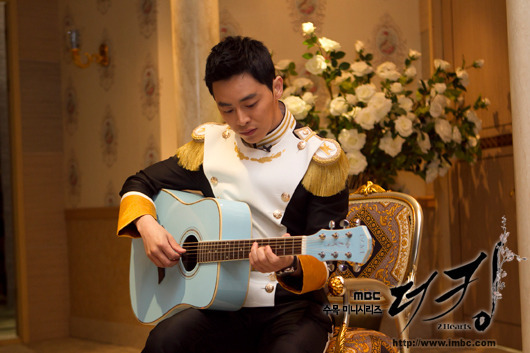 now i know how he can be that kind of actor....and a DAEBAK singer tooo~....his voice melts my heart slowly! 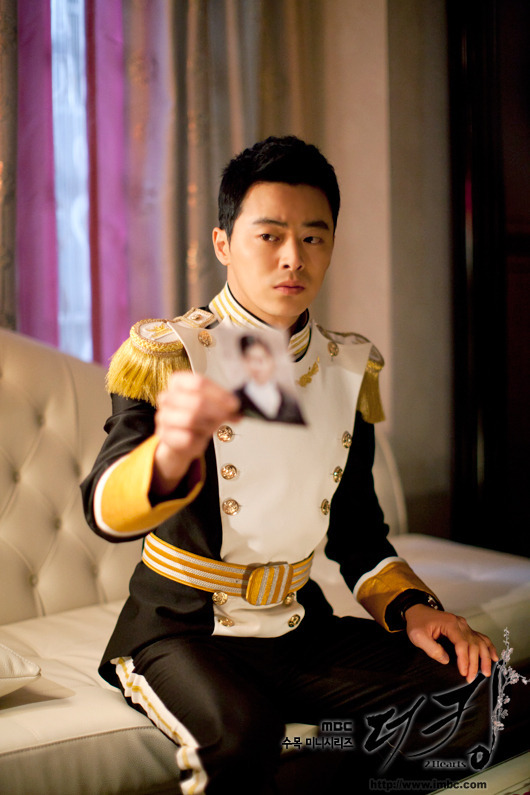 Something has caused The King 2Hearts’ royal guard, Eun Shi Kyung (played by Jo Jeong Seok) to break down. MBC has released new preview still cuts ahead of its next episode. In the still cuts, Jo Jeong Seok is seen outside at night looking troubled before getting on his knees and breaking down. For the heroic guard who has been winning fans for his developing love line with the royal princess, Lee Jae Shin (played by Lee Yoon Ji) while remaining loyal to his king Lee Jae Ha (played by Lee Seung Gi), the reasons behind the sturdy guard’s breakdown is raising the curiosity of viewers. or the heavily emotional scene, it was revealed Jo Jeong Seok had to run and act out his anger and tears over six times, yet he showed no signs of weariness. The episode will air on May 9 on The King 2Hearts upcoming 15th episode. OH MY GOD!! !....just watch the 15th episode and it was so DAEBAK!!!!! the very 1st time our un-fun and not-interesting soldier cried so bad.....and that was damn charming!!! looking for more cuteness!?? I'm so glad he's active at his twitter! 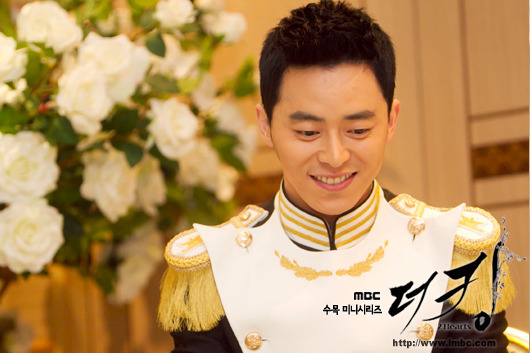 Actor Jo Jung Suk revealed a secret behind a scene he considers memorable on MBC drama ‘The King 2hearts’. On the Ma 13th installment of MBC‘s entertainment information program ‘Section TV Entertainment Relay’, the filming location of the engagement between Lee Seung Gi and Ha Ji Won on ‘The King 2hearts’ was visited. When asked what was a memorable scene, Jo Sung Suk answered “In the drama, the scene in which I pick up Lee Yoon Ji and lay her down on the bed.” Jo Jung Suk was witty while describing the scene as he explained, “I thought she was light…” but left it up to the viewers to complete the sentence. With the handsome look, quick wit, and the loyal stance, it’s no wonder that the captain of the royal guards to King Lee Seung Gi, Jo Jung Suk enjoys increasing popularity that gained much traction lately through the great drama ‘The King 2hearts’. 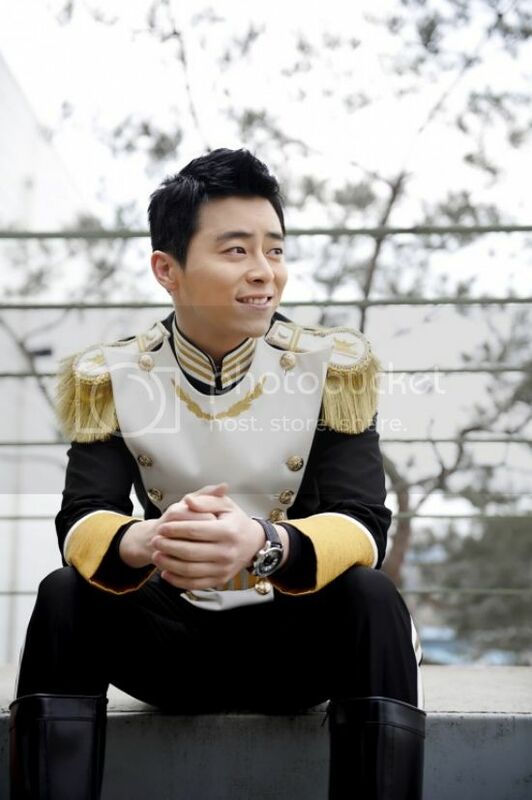 Actor Jo Jung Suk proved he is loyal to King Lee Seung Gi. On the May 13th installment of MBC’s ‘Section TV Entertainment Relay’, the viewers were invited for a look into the filming of the engagement of Lee Seung Gi and Ha Ji Won for MBC drama ‘The King 2hearts’. In the ‘Section TV Entertainment Relay’ of the day, the wedding of Lee Sung Bae and Tak Ye Eun, the interview with Lee Sun Gyun, and the ranking of the actors with variety skills were among the news presented. oppa....ulljimasaeyo~.....your tears seriously breaks my heart right now.....wish i was there to lend my shoulders....T_T"
Will ‘The King 2Hearts’ Jo Jeong Seok and Lee Yoon Ji Finally Begin their Romance? New heartwarming preview still cuts of Jo Jeong Seok and Lee Yoon Ji have been released, hinting the two’s long-awaited romance may finally begin. Despite Yoon Ji’s character, Lee Jae Shin, confessing her feelings for Jo Jeong Seok’s Eun Shi Kyung, his character has been slow to respond, much to the disappointment of viewers and fans of the couple. But the new preview images shows things may be warming up between the two with the images showing Jo Jeong Seok helping the princess put on her shoes, comforting her in her sorrow and carrying her on his back while laughing together. The scenes were shot for six hours on May 8 in Seoul’s Gangnam in front of a hotel. Though there were no mistakes made while filming, the scene required footage from various angles of Jo Jeong Seok carrying Lee Yoon Ji on his back. In the end, Jo Jeong Seok had to carry Lee Yoon Ji on his back and walk up and down a hill ten times to complete the scene’s shooting. Reportedly, a concerned Lee Yoon Ji continually asked Jo Jeong Seok if she wasn’t too heavy but Jo Jeong Seok would always reply she wasn’t very heavy. It was also revealed the scene where Jo Jeong Seok put on Lee Yoon Ji’s shoes was not included in the original script but it was thought of by both actors and director Lee Jae Kyu last-minute and included in the filming. The episode will air during the upcoming 17th or 18th episode later this week. can't wait for tonight episodes....it should be EPIC! Jo Jung Seok emotes and preps for the stage in this month’s GQ Korea. Actor Jo Jeong Seok is relishing in his recent surge in popularity. Since first catching the eyes of viewers through his small but tremendously memorable role in Architecture 101 earlier this year, Jo Jeong Seok’s popularity has, since then, only skyrocketed even higher thanks to his role as Eun Shi Kyung, the royal guard in MBC’s The King 2Hearts. His popularity growth was verified recently by a source close to the actor who revealed Jo Jeong Seok has, so far, received over twenty different offers from various production agencies to cast the hot actor in their production. According to the same source, the actor’s popular love line with Lee Yoon Ji in the drama is ensuring his popularity for mellow romance productions while his hilarious comedic turn as Nab Ddeuk in Architecture 101 has already proven the actor’s versatility. for the past 3 hours I was like this girl ^ seriously ... why!!! why!!!!!!!! Actor Jo Jung Suk has said that 2NE1′s CL is his ideal type. On the afternoon of 23 May, while being interviewed by OSEN in a restaurant near Hongdae, he was asked to name someone among idols that fit his ideal type, and his answer was ’2NE1′s CL’. 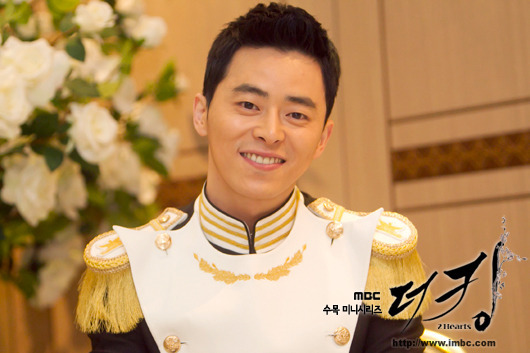 Jo Jung Suk has recently gotten popular with his role as Eun Shi Kyung, a captain of the Royal Guards on the MBC drama series, “The King 2 Hearts” that ends on 24 May. i still cant believe wht they did .. how can they .. seriously out of the blue..
for me this show eneded on ep 18..